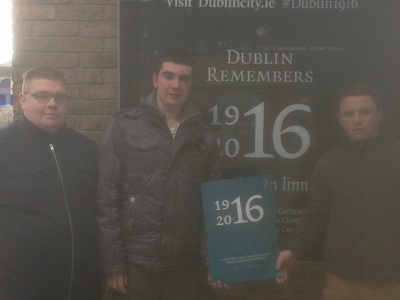 On March 7th, three students from the training centre, Darragh Murray, Dean Mulcahy and Luke O’Mahony accompanied by the Chairman of the Board, John Clohessy and instructor, Liam O’Sullivan attended the National Flag Post Primary Commemoration Ceremony. Schoolchildren from throughout the country were presented with the National Flag and a copy of the 1916 Proclamation of the Irish Republic in a state ceremony attended by many dignitaries from the worlds of politics, the media and the armed forces. 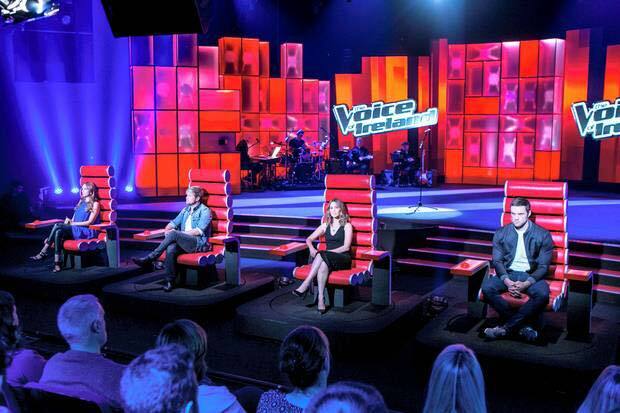 Staff and trainees alike were delighted to see former student, Aaron Carroll take part in the blind auditions for RTE’s The Voice on Sunday the 31st January. Aaron made a great impression and was promptly recruited into judge, Kian Egan’s team. We wish him the best of luck and will follow his progress with great interest. Please click on the link above to enjoy his performance. The Catering Course is currently holding interviews. Those who are interested should be between 16 and 21 with a genuine interest in pursuing a career in what is a growing and rewarding sector. Please contact Shane on 021 4504822 or call into the centre for a chat. A full allowance is paid and recruitment is interview based. This course provides training in basic food preparation skills, safety and hygiene procedures and nutritional advice. We are delighted to announce that the centre will be launching a new Hospitality and Tourism course, and that recruiting has already begun. The course is designed to prepare and place young people in the hotel services industry, and will offer both Fetac and City & Guilds Certification. Those who are interested should be between 16 and 21 with a genuine interest in pursuing a career in what is a growing and rewarding sector. Please contact Mary on 021 4504822 or call into the centre for a chat. 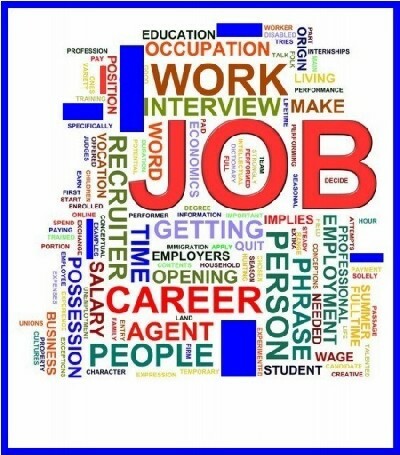 A full allowance is paid and recruitment is interview based. 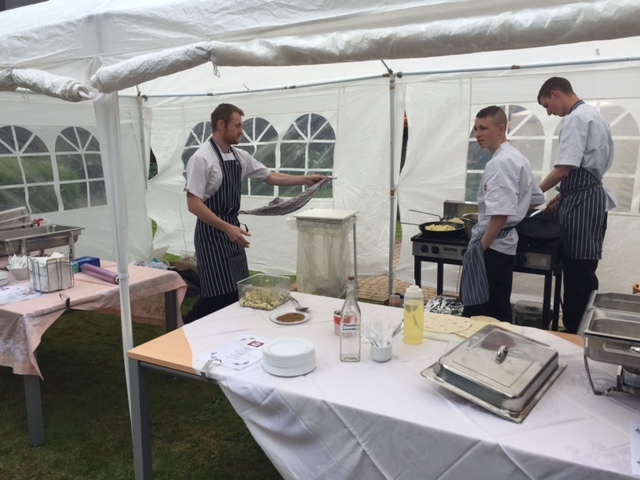 The Culinary Skills course provided catering for the event. We would like to thank David Lonergan and Andrew Basteed for their hard work on the day under the supervision of instructor, Shane Carter, and all the Culinary Skills group for the preparation put into the display. 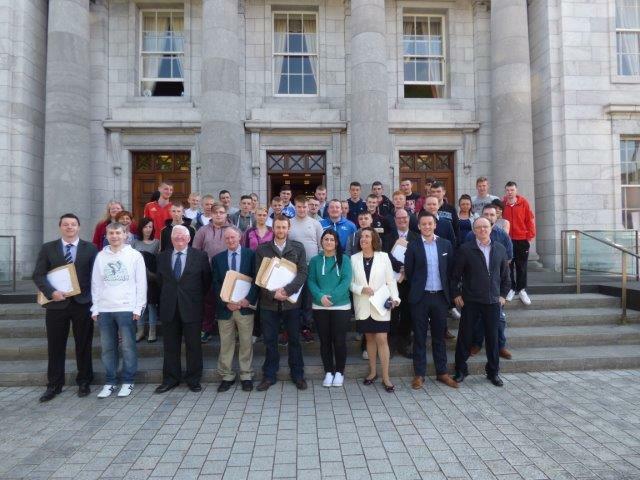 Learners from the centre assembled at City Hall to receive their Fetac Certification from the Deputy Lord Mayor, Cllr. Tim Brosnan in April. The day represented an opportunity to congratulate the students involved and acknowledge the hard work they have put in. A great many learners were recipients of full awards at levels 3 and 4, and can be rightly proud of their achievements. Several former trainees who have gone on to do degree courses at UCC, CIT, and elsewhere were also invited and spoke to those present about the career paths they have taken. We would like to thank Tara Daly, Ger Nyhan, Jonathon Wyse, Joanne Coakley and Kajetan Soltys for coming back to see us and talk about their experiences. Kajetan accepted the certification which qualifies him as a Financial Advisor which he achieved through the help of the Customised Training scheme while John O’Donovan accepted his President’s Award – a national award scheme available through the Centre. The Mayfield Community Training Centre was delighted to take part in the Cork Life Long Learning festival (March 23rd – 29th) manning a stall at the events organised at the Mayfield Library. The festival which is now 12 years old celebrates the learning opportunities available to all ages in the city, and is run on a voluntary basis. The Business Skills group set up their stall at the Frank O’Connor Library on the Thursday and took part in a morning of participative workshops and displays from the local community and schools. The students provided flyers and brochures to heighten awareness of the work done at the centre, and were happy to answer any questions from the public as well as chatting to the Deputy Lord Mayor. The centre would like to congratulate Kealan Murphy (Seacon Construction),Jack McCarthy (Pouladuff Car Dismantlers), Paul O’Connor (Craft Fitted Furniture), Graham Fitton, (Cork Building Solutions), Adam Power (McDermot Electrical), Greg McDonnell (Safety Tech Electrical), Daniel Field (Red Abbey Crash Repair) and Kyle Mccarthy (DC Metal) on obtaining Apprenticeships in the building sector. Alan Buckley, The Home Repair and Maintainance Instructor commented, ‘this has been one of our most successful years in regards placing young people in apprenticeship positions. It is a real indication that the construction industry is on an upturn, and that the skills provided at the centre are in demand again. There has been great interest in the course which is very gratifying for all involved’. John O’Donovan accepts his President’s Award in the presence of John Clohessy, Chairman of The Mayfield Community Training Centre, and Lord Mayor Catherine Clancy. Copyright © 2017-2019 Mayfield Community Training Centre All rights reserved. Website built by JOS WEB DESIGN LTD.